Ann is a highly experienced Musculoskeletal Physiotherapist. She has worked in private practice for 30 years. As a result she has seen a wide variety of cases. Ann graduated from Sydney University in 1983 and after working at Prince of Wales and St George Hospitals, she moved in to private practice. She worked in a variety of practices before establishing Burns Bay Physiotherapy. She returned to Sydney University in 1994 to study a Post Graduate Degree in Musculoskeletal Physiotherapy. Ann continues to pursue her interests in understanding and applying the latest research plus her years of experience to achieve the best results for her clients. Outside of work Ann enjoys spending her time cycling, gardening and with her family. Bachelor of Science. – U.N.S.W. 1981. Post Graduate Diploma of Physiotherapy. – Cumberland College of Health Sciences. 1982. Graduate Diploma of Applied Science (Manipulative Physiotherapy). – University of Sydney. 1991. Australian Physiotherapy Association Musculoskeletal Physiotherapy title – 1992. 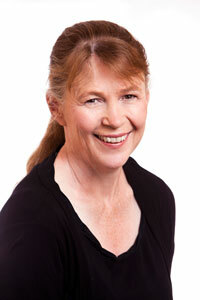 If you wish Ann to look after you why not give Burns Bay Physiotherapy a call.